Can you believe that Fall is here already? 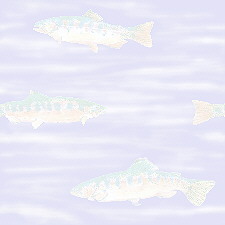 I feel it in the air, and it is beginning to show in our local waters...the fishing is getting better! October will be providing us with more than a few opportunities to make ourselves known in our community, and to share activities as a club. This month's fishout has been moved to Sunday the 9th of October. It will be on the Truckee River, at McCarran Ranch. The club will provide the barbeque. October 15th is the day set for the "Tom Brooks Memorial Kid's Fishing Day". It will be at Baily's Fishing Pond, from 8:00 AM - 1:00 PM. Please try to set aside some time to stop by and help a kid "love to fish". 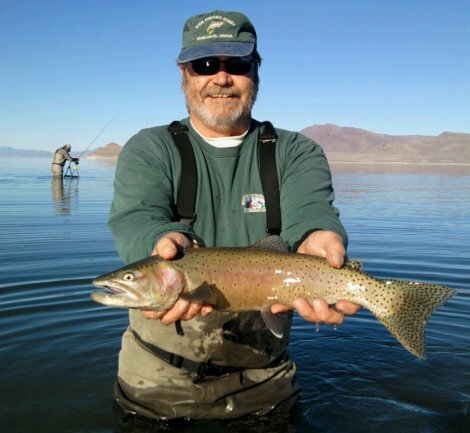 The Northern California Council of the FFF is putting on the Festival of Fly Fishing at John Ascuaga's Nugget in Sparks October 7th through the 9th. On Saturday the 22nd of October we will be installing the marquees we built, at Mason Wildlife Management Area. Everyone is welcome to tag along and pitch in a helping hand! Our Annual Banquet is fast approaching. You can expect a call from one of our board members. We are selling banquet tickets for our annual affair to be held November 5th. I will have a supply of tickets at our meeting this coming Wednesday. If you happen to win a ticket in the raffle, the club will refund you the money for the ticket you had purchased. Hope to see you at the meeting, on the water, or at one of our upcoming activities! 24-26 FEB - Fly Fishing Show - Pleasanton, CA. 911 E. Musser St. 7pm, Carson City. Come to our club gathering and meet fellow fishing enthusiasts; listen and learn from guest speakers; enjoy a chance to win a prize in the raffle; hear the latest fishing stories, and much more. You are welcome! For more information contact Dave Conklin at 885-9974. Name Badges - We are taking orders for the club wooden name badges. The cost is $12 each. Contact Dave Conklin at 885-9974. No fishing license is required for those 11 and under, so take a kid fishing! FRIENDS...Membership is not required to join in our activities. To find out what we are all about, you are welcome to attend our General Meeting (usually the first Wednesday of the month) and any or all of our club outings...fish-outs, picnics, fly-tying classes, rod building classes; beginning fly fishing...plus much more. Please join us and Welcome. Cabela's at Boomtown Reno, NV. Orvis - Reno Orvis - Reno Offers 10% discount to club members - just ask for it!